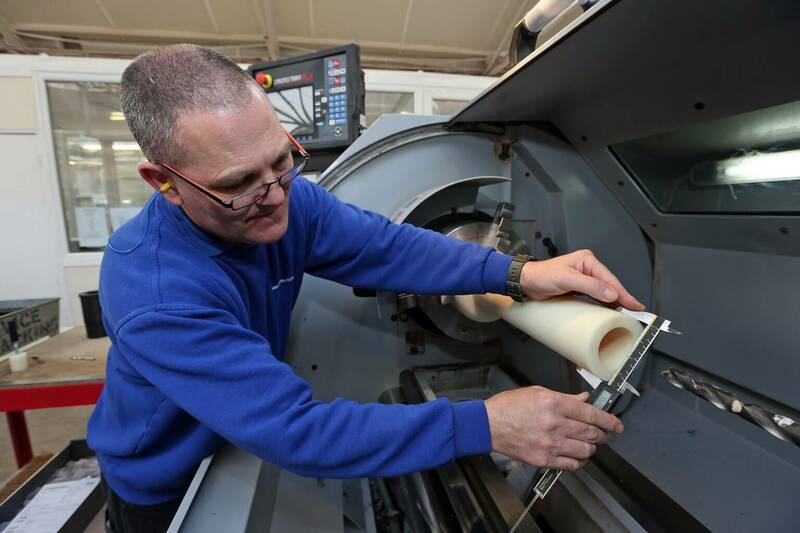 PTFE Machining -SENTINEL PLASTICS machines bespoke PTFE machining Parts to customer specifications, samples or drawings. Our plastic CNC machine shop specifically caters for industrial plastic materials such as PTFE. PTFE Material or Teflon®, is Polytetrafluoroethylene which is a synthetic fluoropolymer of tetrafluoroethylene. PTFE is widely used in numerous applications. • Resistance to both low and high temperatures. • High resistance to UV. PTFE material is highly resistant to heat, as well as attack from most chemicals. The electrical properties are excellent. Though it’s high impact strength, its resistance to wear, durability and creep resistance are low as compared to alternative engineering grade thermoplastics. 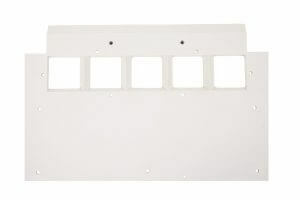 Like many other plastics it properties are often improved by adding fillers like glass fibre, carbon, and/or graphite. PTFE carbon filled has better creep and wear resistance compared to standard PTFE sheet. These properties are improved with the addition of a carbon filler. This filler improves dimensional stability, raises the heat deflection temperature, improves creep resistance and the dynamic bearing performance. Based product. 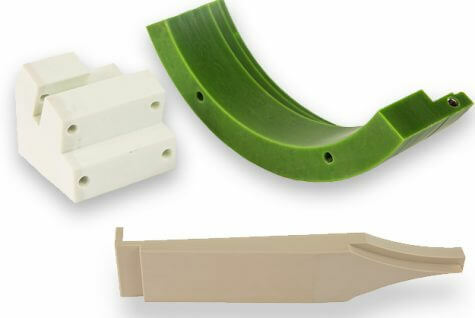 PTFE Machined Parts are made in house on CNC controlled machines. PTFE Pump housings, PTFE valve seats, PTFE gaskets, PTFE roller coverings, PTFE shaft bearings, Teflon filter housings, PTFE etching plates, PTFE shaft seals, Teflon slide runners, chemical engineering, PTFE machine parts, transport and conveyor technology, pump and instrument construction, electrical industry, electronics, laser technology, fume purification, pure water production, cryogenics, filter technology, food and medical technology. 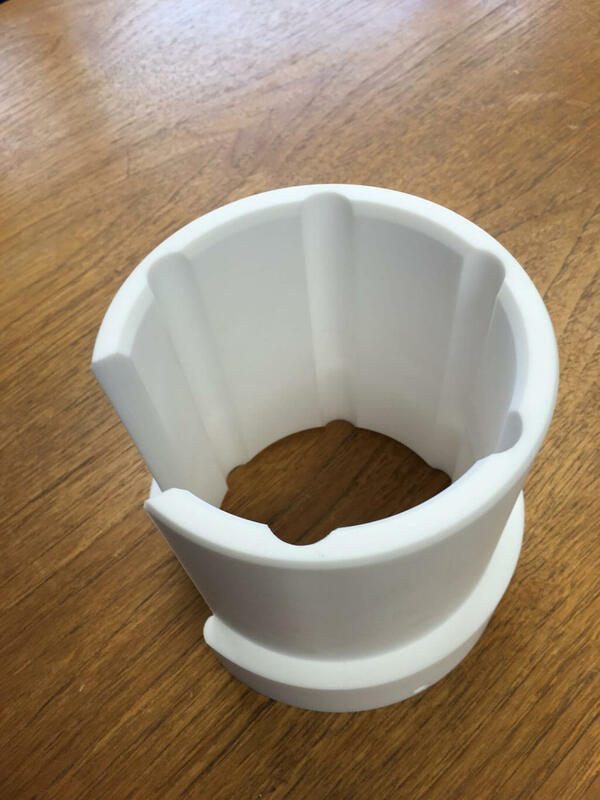 Using the latest Precision Lathes and technology, CNC PTFE Turning, Sentinel Plastics Ltd can produce large or small batch plastic turned parts from all the various types of industrial plastics. Producing Precision PTFE Turned Parts to high quality standards, in many variant forms. One off prototyping and higher production levels are cost effectively produced to customer specification. Using the latest Precision CNC Milling Machine centres, CNC PTFE Milling. Sentinel Plastics Ltd can produce large or small batch plastic milled parts from all the various types of industrial plastics. Producing Precision PTFE milling Parts to high quality standards, in many variant forms. One off prototyping and higher production levels are cost effectively produced to customer specification.